How to Keep Your Home Cozy in the Winter | Miller Bros. Furniture Store | Siouxland's Best Furniture at Great Prices featuring living room, dining room, bedroom, outdoor furniture and more! Winter blues got you down? You’re not alone. For many people living in the northern hemisphere, chances are January and February feel pretty glum. People living in the US, Canada, and Europe are eight times more likely to experience winter blues than those living in warm, sunny places closer to the equator. Luckily, you can chase the winter chill away with a few cozy additions to your home! How you design your space can make a big difference as to how cozy your room feels. If you’re planning on spending a lot of time at home (and really, who doesn’t want to stay home all day when it’s cold out? 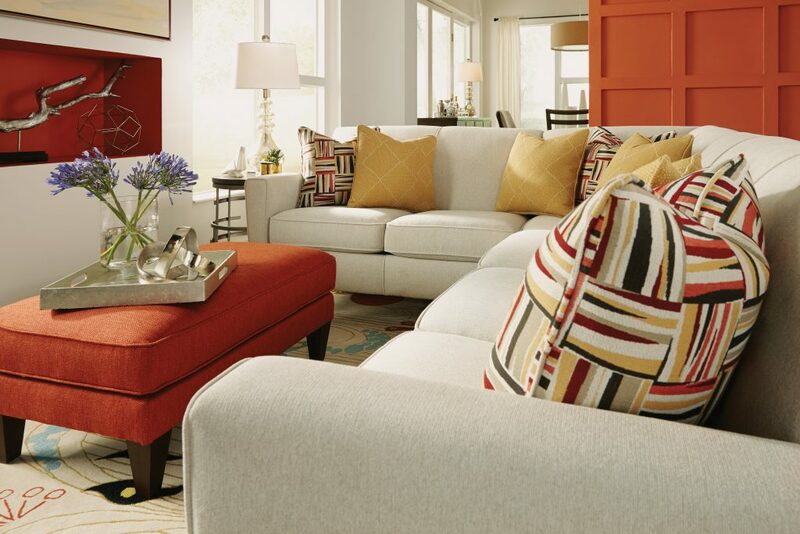 ), consider layering to add warmth to any space. Add some rugs, pillows, blankets, and other cozy accessories to create a warm and welcoming space for yourself and your guests. Warm colors and lighting can also help create a cozy atmosphere, so don’t be afraid to switch up your decorating and buy some new bulbs! Is there anything better than sinking into your couch or lounge chair after being out in the cold? The comfier your couch, the better! After a long day, it’s nice to be able to stretch out and relax with a blanket and some throw pillows on a big sectional. Regardless of whether you’re planning to stretch out and take a nap or share the space with your friends and family, sectionals are a perfect way to keep the cold away. As for furniture material, you can’t go wrong with plush fabrics, but don’t overlook the coziness factor that leather can bring into your room, especially during the colder season. The number one thing that matters is comfort, though, so make sure to test out all your options! You may be trying to keep winter out, but that doesn’t mean you can’t let nature in! Natural wood and other materials can add a lot of warmth to a space. Wooden furniture can make a space feel cozier and more rustic, and the natural look of wood can make a space look more homey. Consider adding a natural or stained wood coffee table or some end tables to your space to draw the eye to the warm colors of the wood. It may be cold outside, but you’ll always receive a warm welcome at Miller Bros Furniture! Come on in and we’ll help you find the perfect sectional, ottoman, coffee table, or whatever else will help you add some cozy warmth to your home! Have questions? Contact us online or by calling 712-255-3575.